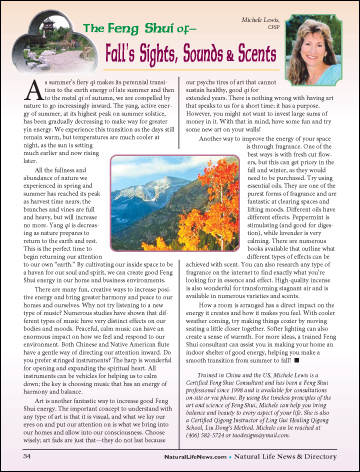 As summer’s fiery qi makes its perennial transition to the earth energy of late summer and then to the metal qi of autumn, we are compelled by nature to go increasingly inward. The yang, active energy of summer, at its highest peak on summer solstice, has been gradually decreasing to make way for greater yin energy. We experience this transition as the days still remain warm, but temperatures are much cooler at night, as the sun is setting much earlier and now rising later. ﻿All the fullness and abundance of nature we experienced in spring and summer has reached its peak as harvest time nears; the branches and vines are full and heavy, but will increase no more.